In Facebook, you want to share your memories and new exploration with your friends and family instantly by using the Facebook mobile browser or mainly by the Facebook mobile app. But your media file will be in large in size means in the mobile data you can upload quickly it will take time and Facebook automatically reduce the quality of the media file for both images and video files. How to solve this and you upload always your media files in good quality. 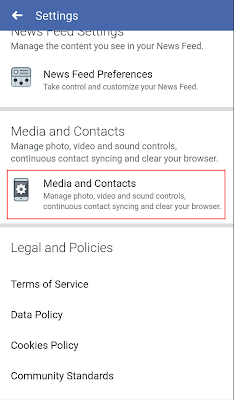 Follow the below steps and do small configuration on your Facebook setting. Open your mobile app and tap the menu option. It will be three line icon presented in the bottom right corner of the screen. Just tap it takes to the menu page in that you can see the list of option just scroll down in the page. 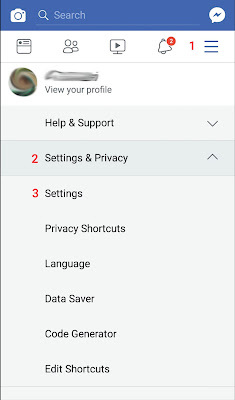 You can see the Settings and Privacy option just tap that below that menu it small submenu will open in that you see settings option. Tap on the settings option and open the setting page. Just scroll down in that page at below you see the Media and Content section. In that, you can see the Video and Images option just tap two open on that you can see the two toggle button one for image and another one for videos. 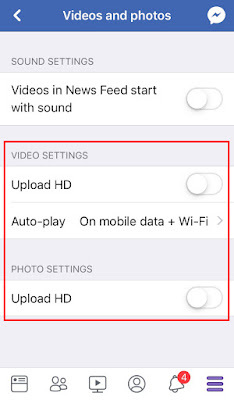 Just tap on the toggle button to enable the always upload the image and video in HD format. After tapping the button it will change to green. If you are using an Android phone you can see the three line menu option at the top right corner. Just tap the menu option it will take to the menu page. 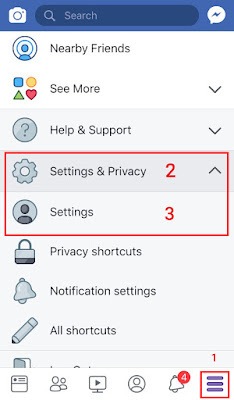 Scroll down in the menu page you can see the Setting and privacy tap the option small submenu will open in that tap setting option. 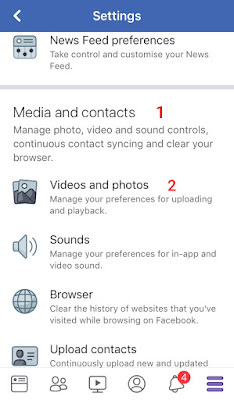 It will take a setting page in that the scroll down you see the media and content option just tap that it will take another page in that you can see the two toggle button one for image and another one for video. Just toggle it and enable default upload the video and images in Orginal quality. Using this you upload the media file in original quality. And your media file not damaged.